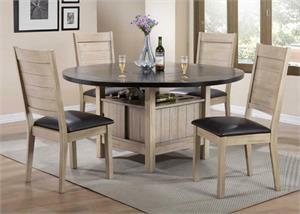 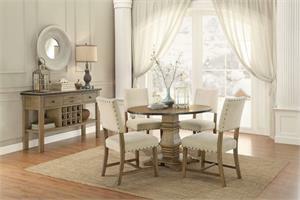 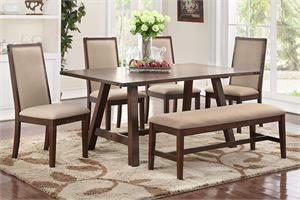 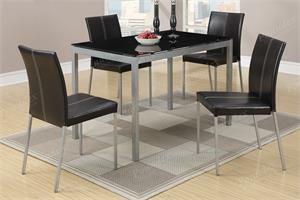 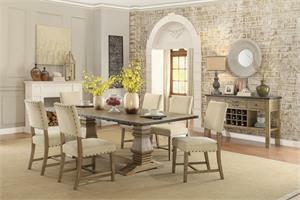 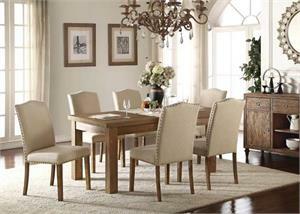 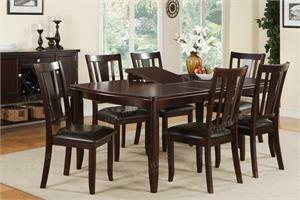 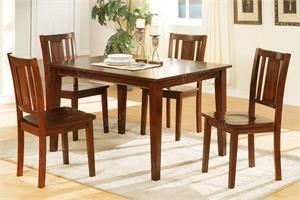 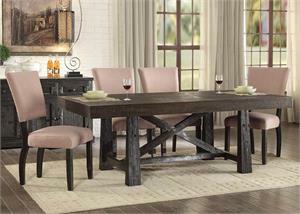 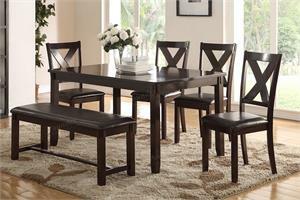 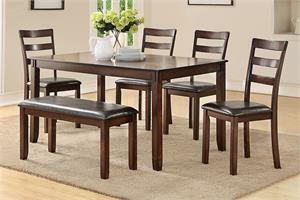 Enjoy breakfast, lunch and dinner in style and comfort with this stylish dining set! 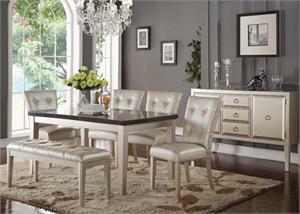 The sophisticated shape of the pedestal pairs perfectly with linen-upholstered chairs and a comfy bench to create a luxurious atmosphere. 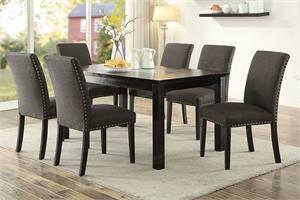 Scrolled backrests decorated with button tufts help emanate a regal and feminine style that complements the beautiful antique black color for a chic finishing touch.